Prime Minister Narendra Modi rarely misses an opportunity to meet with visiting CEOs of global companies. It's not just a photo-op but also helps build personal equation with the global honchos or founders of large companies. So why did the PMO turn down a meeting request from Doug McMillon - the CEO of the world's largest company, the $486 billion Walmart Inc.? 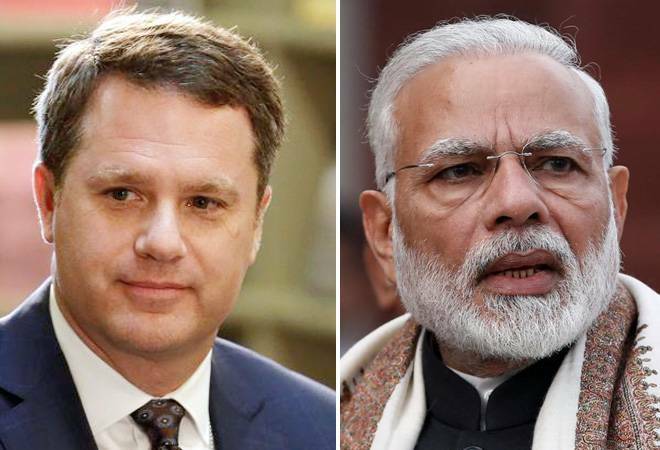 In fact, taking a cue from the PMO, even commerce minister Suresh Prabhu's schedule underwent a last minute change, cancelling the meeting with McMillon. It appears that the government may be trying to distance itself from being perceived as blessing the $16 billion deal that gave Walmart a 77 per cent stake in India's largest startup and the biggest e-commerce company-Flipkart. The company was valued at $20.78 billion. Especially, since affiliates of the RSS such as Swadeshi Jagran Manch as well as retailers' bodies such as The Confederation of All India Traders (CAIT) have already raised strong objections to the deal. SJM convenor Ashwani Mahajan has called it a back-door entry into India's multi-brand retail market where foreign firms are not allowed a majority holding. CAIT believes it will sound the death knell for small businesses in India, which is believed to be among the biggest support base for the ruling BJP. So what did Walmart CEO make of the icy cold vibes from the government? "I didn't really take it that way at all. We meet with the government at all kinds of levels all the time and have met before and am sure will meet again. We meet at state level as well as national level here and in other countries. We meet with NGOs, academics, senior people. I haven't had any concerns about the support. I think this investment is good for the country and I think people generally realise that. So I haven't given it that much of a thought," says Doug McMillon, global CEO of Walmart to BusinessToday.In at an Editors' roundtable in New Delhi. "We're not really new to the country. That's not the most important thing. We don't really need a photo-op." Does he see in trouble in getting regulatory clearances? "We'll obviously let the Competition Commission of India take a look at it. We're actually pretty clear that this is good for the Indian customers, it will create jobs and help society. Which is what we are here to do." McMillon also believes that the Flipkart-Walmart deal will create around 10 million jobs in India. This includes both direct and indirect jobs. The US-based retail behemoth said that it will create jobs by developing supply chains and commercial opportunities. Walmart had earlier said that its collaboration with Flipkart will also support small businesses by procuring directly from them. The company had said that it will support farmer by sourcing its inventory locally. The deal will also see significant input into supply chain, with focus on cold storages. The Bentonville, Arkansas-based giant said it will partner with kirana owners in India to help them reform their retail practices.